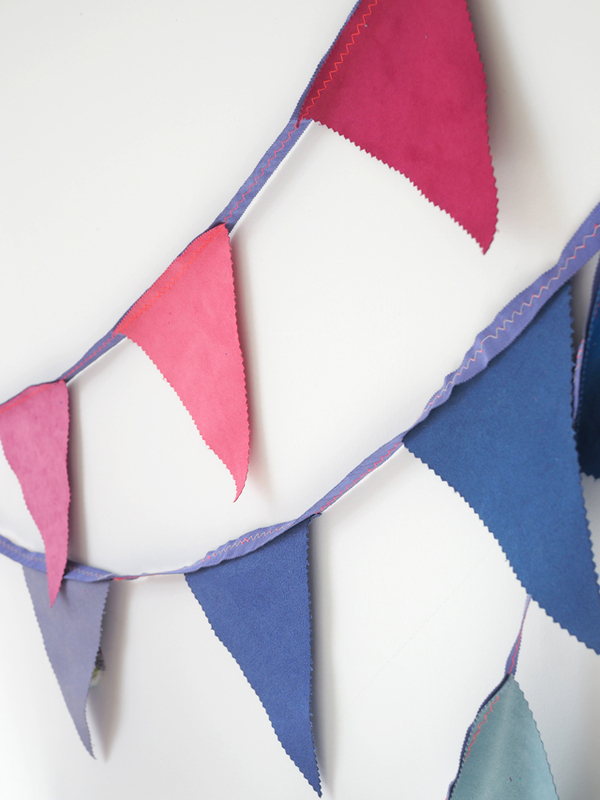 I had to share this extremely easy bunting I made a few weekends ago. I've been updating my garden this year and whilst I wait for the plants to grow I wanted to add a splash of colour to a shady corner. 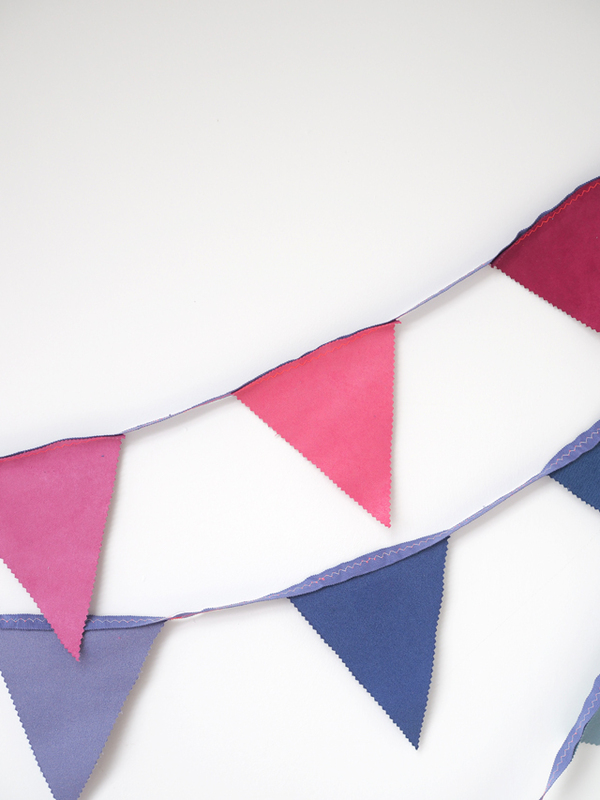 I realise bunting is nothing new but sometimes (especially in summer) it's just what you need to make a space feel a little more fancy. 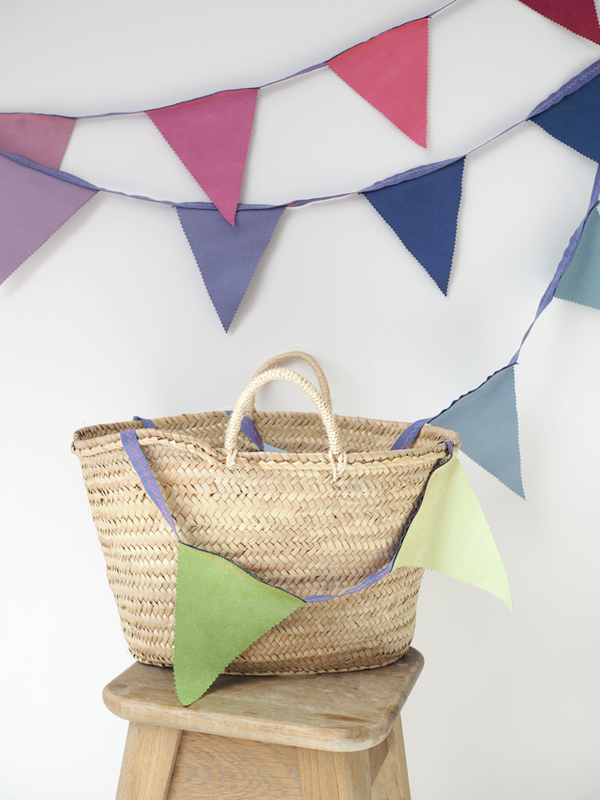 We hosted a Fathers Day/Birthday barbecue at the weekend and it was the perfect accessory for a simple summer table. I used fabric from old swatch books but any thick upholstery fabric would work just as well. Step 1. Cut triangles of fabric 15cm wide at the top and 17cm long - use pinking shears so there is no need to hem. Step 2. Take a long piece of ribbon (I've been challenging myself to use up what I have, so used a roll of grosgrain I had in my stash) and then stitch onto the ribbon with a wide zig zag stitch on the sewing machine. I spaced these approximately 10cm apart. As a little extra detail I used a contrasting thread, but you don't have too.